LEGO City Undercover (game, 2013). An action-adventure video game by Nintendo (Wii U)/Warner Bros. Interactive Entertainment (PC, NS, PS4, XONE)/TT Games. Developed by TT Fusion, Traveller's Tales, TT Games. Official Trailer. LEGO City Undercover is an action-adventure video game by Warner Bros. Interactive Entertainment (PC, NS, PS4, XONE), Nintendo (Wii U) and TT Games, developed by Traveller's Tales, TT Fusion and TT Games. 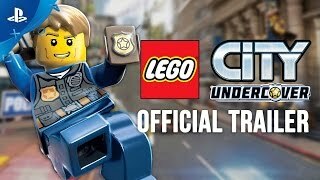 LEGO CITY Undercover - Official Trailer | PS4. Police officer Chase McCain (Joseph May) returns home to Lego City, after being sent away two years ago in the aftermath of an important case, at the request of Mayor Gleeson. Upon his return, Gleeson reveals the city is in the grips of a crime wave, which she suspects to be the work of Rex Fury - a notorious criminal that Chase helped to arrest, who had recently escaped from prison - and asks Chase to find him and stop him once again. To assist him in his work, Chase is joined by dim-witted rookie Frank Honey, and assisted by police technician Ellie Phillips, though his return is not welcome news for Natalia Kowalski (Jules de Jongh), Chase's ex-girlfriend, who was forced into the witness protection program after he inadvertently revealed her as the witness in Fury's trial, nor Marion Dunby (Kerry Shale), the city's new Chief of Police, who had Chase sent away because of his mistake as well as always having a giant dislike to him. After helping to deal with a number of minor cases, Chase manages to gain a few clues that lead him to encountering Rex at Bluebell Mine. Despite finding him, he is defeated before he can arrest him, and upon regaining consciousness, he learns that Natalia's father has gone missing. Despite offering to help her find him, Chase finds his help refused by Natalia. After being pressured by Gleeson to involve Chase in Rex's case, upon Frank informing her that he is being purposely kept out of it, Dunby sends Chase undercover within a limousine company owned by Chan Chuang, head of a crime gang. During his time in the company, he works as a driver for millionaire Forrest Blackwell, gains acceptance with Chan's boss, Vinnie Pappalardo, and steals a moon buggy for Chan. When Natalia is captured by Chan, while investigating his connection to her father's disappearance, Chase goes to rescue her, causing her to accept his help in finding her father, but angering Dunby when Chan goes into hiding. Taking place in the vast Lego City, players control an undercover cop named Chase McCain. Chase goes on the hunt for criminals, with various moves at his disposal, such as swinging across poles and performing wall jumps. He can also gain disguises that give him additional abilities, such as a robber disguise that lets him break locks. Chase can also pilot vehicles, such as cars and helicopters, and use loose bricks to build various objects. Other characters can be playable once unlocked, but they'll still talk with Chase's voice (except in cut-scenes where Chase can still be seen). Custom characters are also playable. The Wii U GamePad can be used as a device including a communicator and as a scanner to locate criminals. 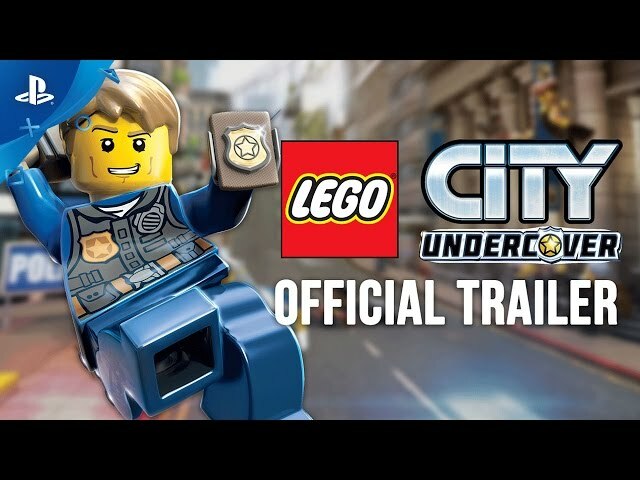 LEGO City Undercover was scheduled to be released by Nintendo (Wii U), Warner Bros. Interactive Entertainment (PC, NS, PS4, XONE) and TT Games on March 18, 2013 (North America), on March 28, 2013 (PAL region), on April 4, 2017 (North America), on April 7, 2017 (PAL region) and on April 12, 2017 (Australia). This video game is available for the following platforms: Wii U, Microsoft Windows, Nintendo Switch, PlayStation 4 and Xbox One.